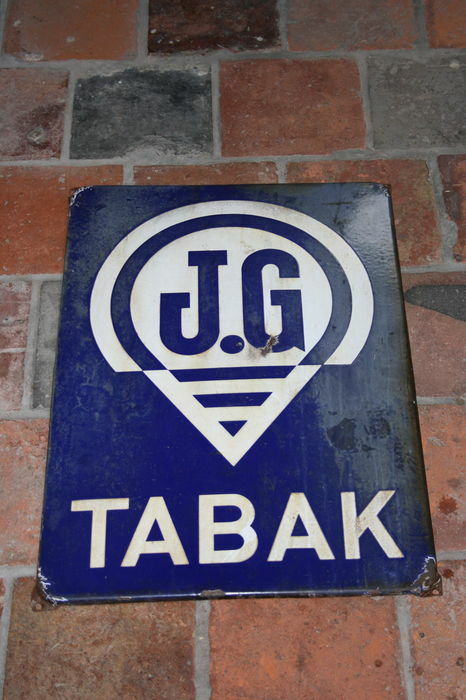 An old enamel decorative wall plate with the text “JG Tabak”. Dates from the time when smoking was still considered to be healthy. 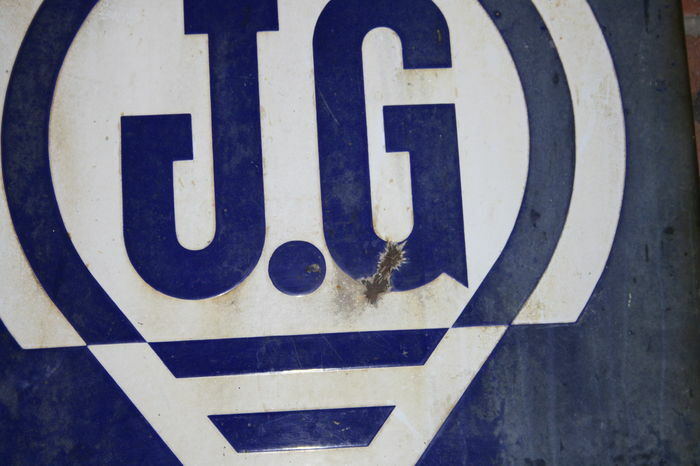 J. G is short for Jan Gruno, a tobacco manufacturer from Groningen. This company was taken over by another tobacco company after the war. 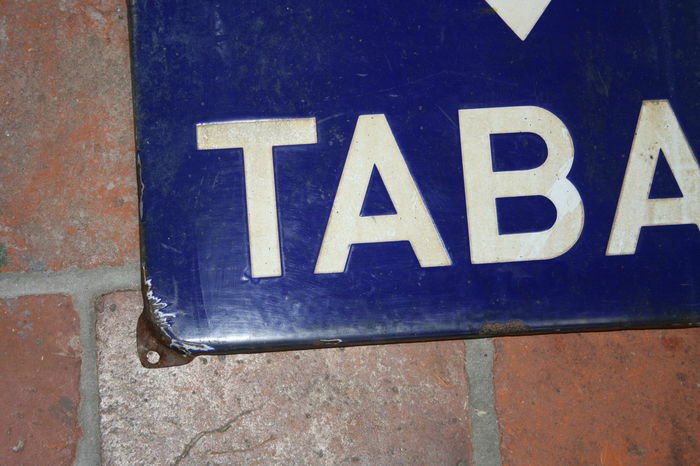 The dimension of this advertising board is 47 x 68 cm, with a weight of about 4 kg. 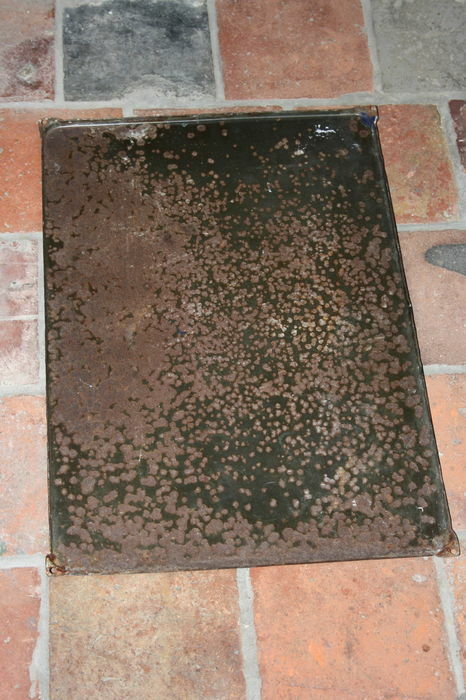 Also on the back the traces of aging are clearly visible. This collector’s item will be well packaged and will be sent to its new owner via registered post. Perfect in orde! Zeer snelle levering ook. Very well packed. Nice item. Thanks. De kaart is in goede conditie in ontvangst genomen! Dank u! 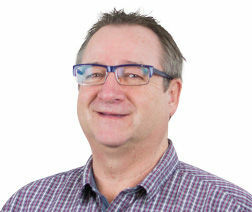 Sie können diesen Artikel auch beim Verkäufer abholen: Gaanderen, Niederlande.